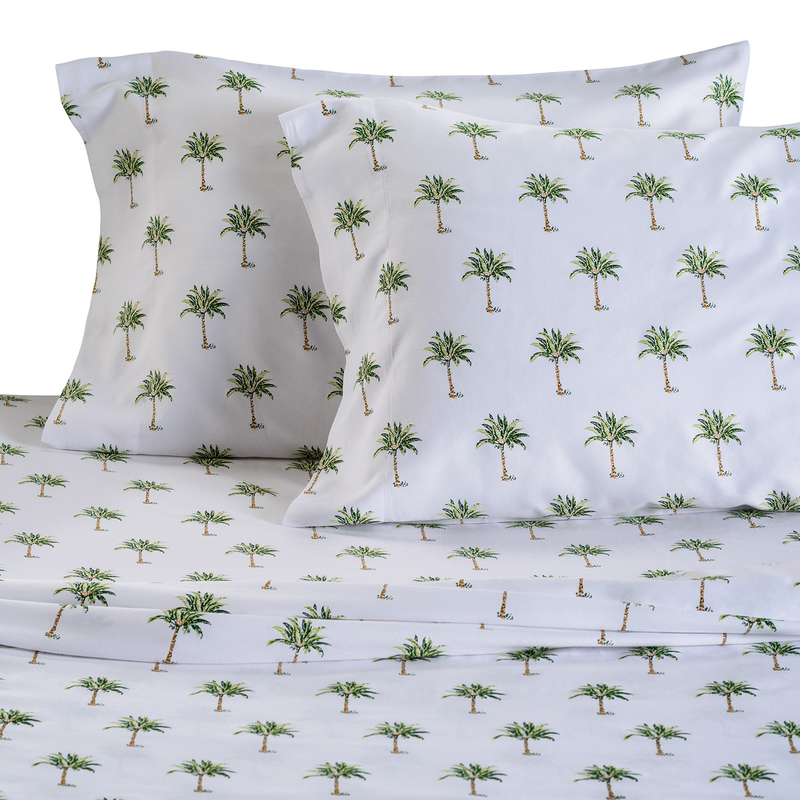 Bring tropical style to your bedroom with the Coconut Palms Sheet Set - King. These coastal bedding sets have stately green and brown palms on creamy white. Ships from the manufacturer. Allow 2 weeks. Cannot express ship. For many more offerings, we encourage you to take the opportunity to go through our full variety of coastal bed sets at Bella Coastal Decor now.